Sea Salt sprays have been all the hype for a long time. I always wanted to get one to achieve that effortless messy hair look minus the frizz but I read alot of reviews about how sticky they can get, which includes sticky hands too. Oh and 'crispy' hair. It put me off and that's not something I want to go for. 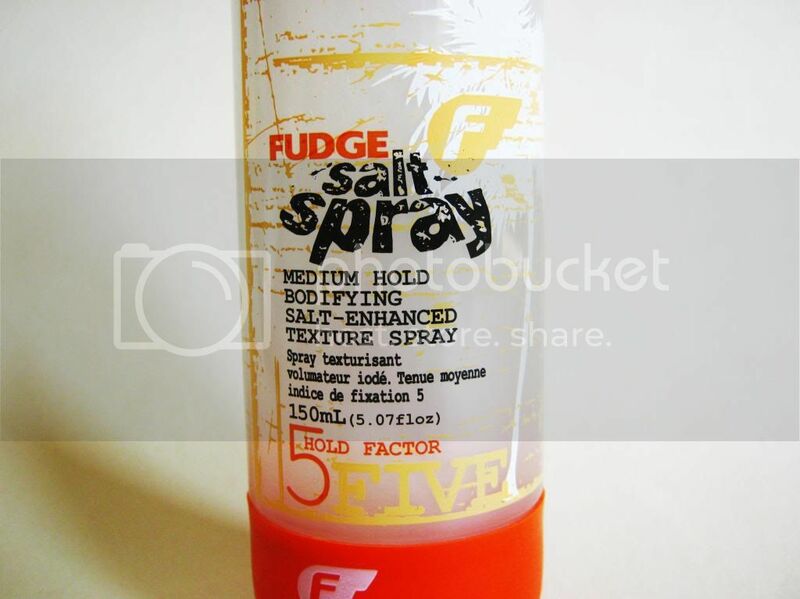 But almost after a year I decided to give the Fudge salt spray* (£7). Le me start of by saying that this does not make your hair look or feel crispy like when you apply too much bad hairspray. It's not sticky either. So that's certainly a positive thing! It also smells gorgeous. Like a holiday if that's even a fragrance. So tropical and very summery. I think it's coconut that's prominent. I love the packaging of the bottle too. Quite cool and gives off the beachy vibe. I spray this into damp hair and work it in by scrunching my hair. My hair is quite frizzy when I wash it so I was hoping it wouldn't make it appear twice as frizzy. It actually tamed the frizziness which I was very happy about but it didn't lose the volume. It suggests that you apply this on the roots and work it in but I skipped that step because I have oily hair and I feel like when I apply any hair product into my roots, my hair becomes limp and starts to get oily much faster. So skipped the roots but I sprayed it onto the rest of my hair and it worked like a charm. It makes your a tad bit dry but not too much though I think that's what the majority of salt sprays do anyways. It looked messy and quite effortless but not messy where it looks like you haven't brushed your hair in a week. The good messy and no tangles. My hair stays like that for the whole day as well. It has a hold factor of 5 which is medium and I think that's perfect. My hair is naturally wavy so it enhances that too and I really love it. I hate my hair wavy but after spraying this, I've embraced it. It also makes your hair a little more thicker. I would recommend this of you're on the hunt for a good sea salt spray! o here is a quick picture of my hair. I understand you're probably shouting at me saying 'is this what you call a picture'. I understand. I am sorry. I promise I'll take better pictures of hair next time! It was very quick! 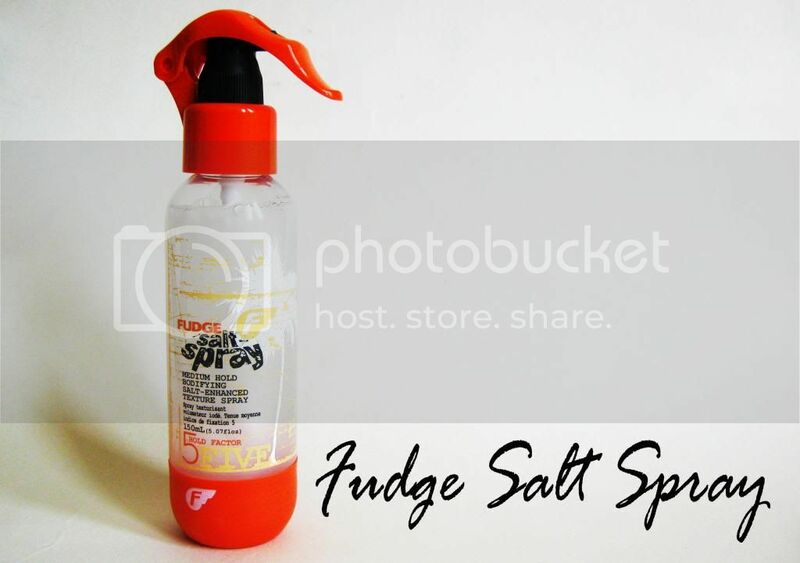 You can purchase the Fudge salt spray from Hairtrade.com which is UK's one of leading online retailer for hair extensions, hair care and beauty products. Have you tried any salt sprays? 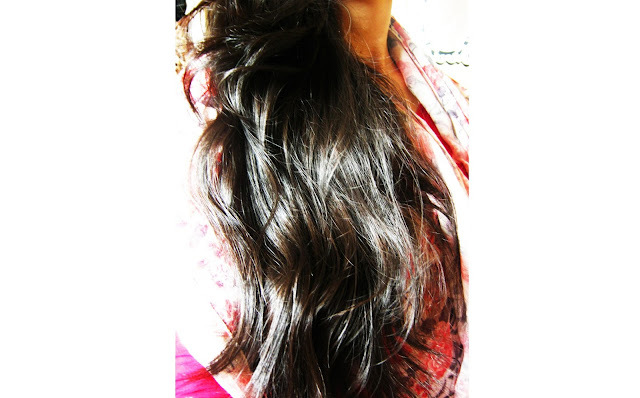 Your hair looks lovely, I've always loved fudge hair products they smell and work amazingly! I've been on the look-out for a good salt spray after seeing other bloggers raving about them! That sounds brilliant, never tried a salt spray in my life!